In order to celebrate the upcoming Laguna Seca race at the Mazda Raceway at the end of the month, Bell decided to release a Limited Edition helmet. Called the USGP Bell Star Carbon, the helmet is a tribute to NorCal’s Cannery Row, as the paint job also suggests. The USGP Bell Star Carbon is built up to both DOT and SNELL M2010 specs and uses high grade materials like TriMatrix kevlar, carbon fiber and a fiberglass shell. Weighing in at 1.5 kg, the helmet has a better fit thanks to contour cheek pads and the buffeting and lift effects are reduced. The visor is a NutraFogII anti-fogging unit, and all the interior padding can be removed for washing. 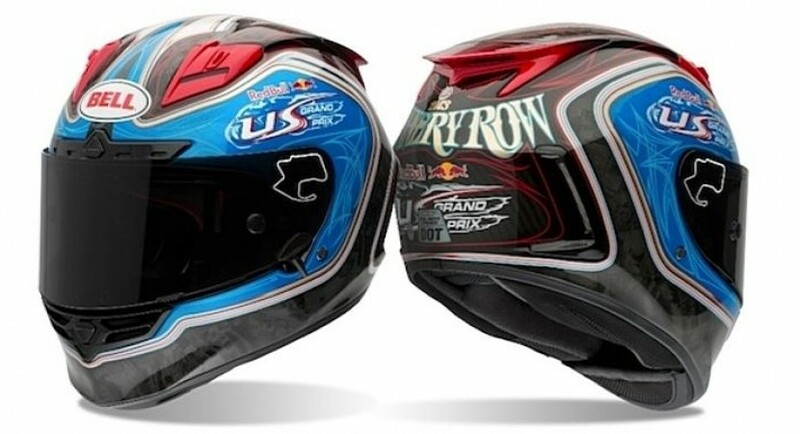 Bell’s USGP Star Carbon helmet will be available for purchase online and during the Laguna Seca MotoGP weekend.